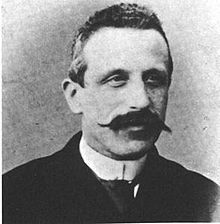 The Turin Shroud, to this day, remains one of the best known unexplained mysteries in the world. The Shroud of Turin is a 14-foot length of linen cloth that bears a stylized picture of a bearded man. Legend holds the Shroud to be a burial cloth wrapped around the Biblical Jesus following his execution. This linen was allegedly flash-imprinted with an image of Jesus during his miraculous resurrection, presumably by an intense burst of energy released under such circumstances. The Turin Shroud is claimed by many (including the Church) to be the buruial shroud of Jesus Christ. The Shrouds history does little to prove this – but many still believe it to be real – lets check the facts! Although there are numerous reports of Jesus’ burial shroud, or an image of his head, of unknown origin, being venerated in various locations before the fourteenth century, there is no historical evidence that these refer to the shroud currently at Turin Cathedral. However, many of the ancient references to the Shroud do strike a close liking to the modern Shroud. The earliest and best evidence of this is two coins minted in 692 under Justinian II. They featured an image of Christ and are supposed to be based on the Shroud image as indicated by 180 matching exact matching points between the Shroud image and that on the coins. In the Budapest National Library is the Pray Manuscript, the oldest surviving text of the Hungarian language. It was written between 1192 and 1195. 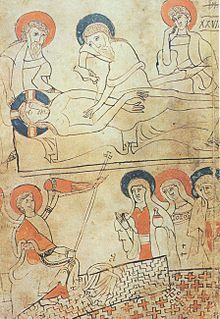 One of its illustrations shows preparations for the burial of Christ. The picture supposedly includes a burial cloth in the post-resurrection scene. The Shroud in the image looks llike the one we all know? 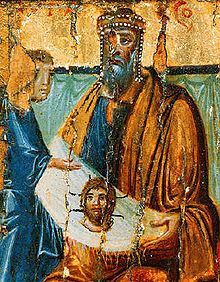 Another reference, this time In 1204, when a Crusader knight named Robert de Clarie claimed the cloth was among the countless relics in Constantinople: “Where there was the Shroud in which our Lord had been wrapped, which every Friday raised itself upright so one could see the figure of our Lord on it. And none knows – neither Greek nor Frank – what became of that shroud when the city was taken. Clear evidence for the modern Shroud can be traced back to the 13th Century, and its location in Lirey, France. Even in those days, many claimed the Shroud to be fake, and just a painting. Provenance? Many claim there is no sign that this object existed before the 14th century, however if you research well engough, you discover countless stories and pictures that reference the Shroud of Christ. What about the image of Christ on the Shroud? Secondo Pia was an Italian lawyer and amateur photographer who got permission from the church to take the first ever pictures of the Shroud. These pictures, taken on the On May 25 & 26, 1898 clearly show an image of a mans face on the Shroud. Since that day, the debate has continued on over the now famous Seconda Pia picture showing the face image on the Shroud. The Turin Shroud is still under investigation. Well, it is clear that the Turin Shroud is a real Shroud of a crucified man, but is it the Shroud of Jesus Christ? but how did the face get on the cloth? Science wanted an explanation, and after years of asking the church for a sample, they finally got given a sample to Carbon date. The sample was taken from the bottom corner of the shroud, split int0 4, and sent to 3 testing sites. One in Switzerland, one in Oxford, UK, and the US testing sitein Tuscon. In 1988, the official results from the Carbon dating tests got announced by Cardinal Ballastrero. However evidence has now come to light that the sample was part of a “replaced area” on the shroud, and was contaminated. This in reality puts the carbon dating in some doubt, and there does seem to be a conflict in the interpretation of the different evidence.